On my way home from the orchard, I was thinking what I could make with the pears. The first thing that came to mind was sauce. 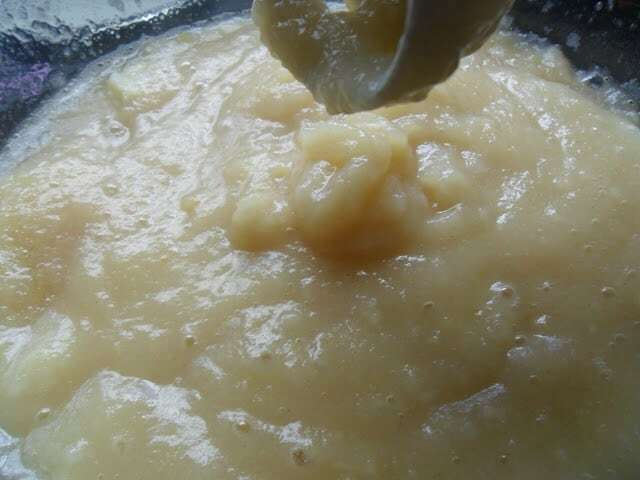 I love homemade applesauce, in fact I never buy canned anymore, so I though I’d make pear-sauce the same way I make applesauce. 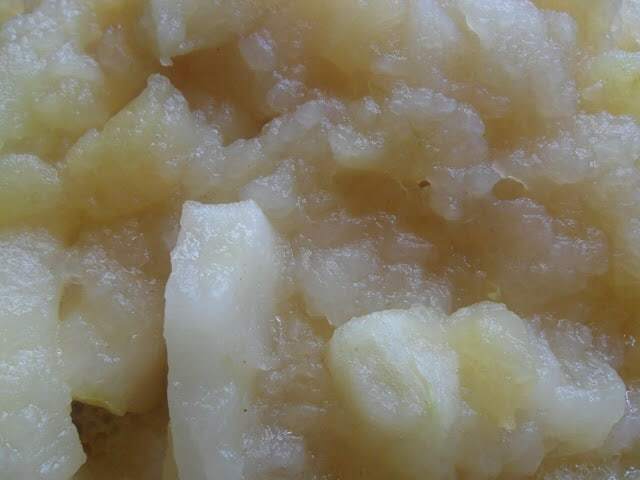 This recipe makes a lot of apple-pear sauce but if your family likes apple-pear sauce as much as we do, it won’t last long. You can adjust the recipe according to your taste. When reading the ingredients in the recipe, you will see that I don’t add any sugar to my applesauce and/or apple-pear sauce. I find that the sauce is usually sweet enough for my tastes, but if need be, add a small amount of honey. I also like to add apple cider or apple juice and the juice from one or two lemons while the apples and pears are cooking down. Both add flavor to the sauce and helps to soften the apples and pears during cooking. 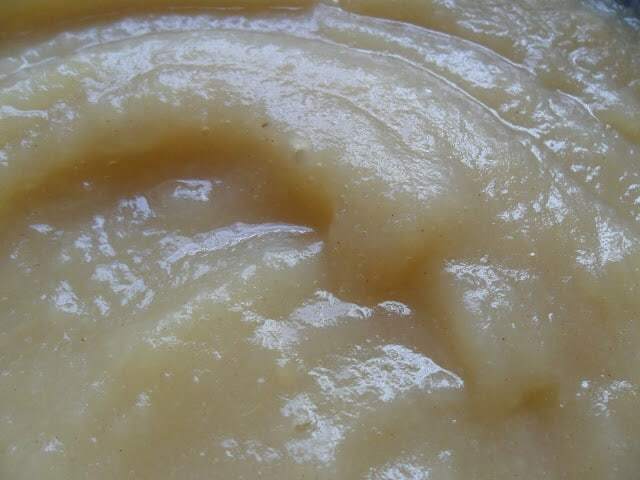 Nothing is better than homemade apple pear sauce! Place apples, pears, lemon juice and apple cider in a large dutch oven. 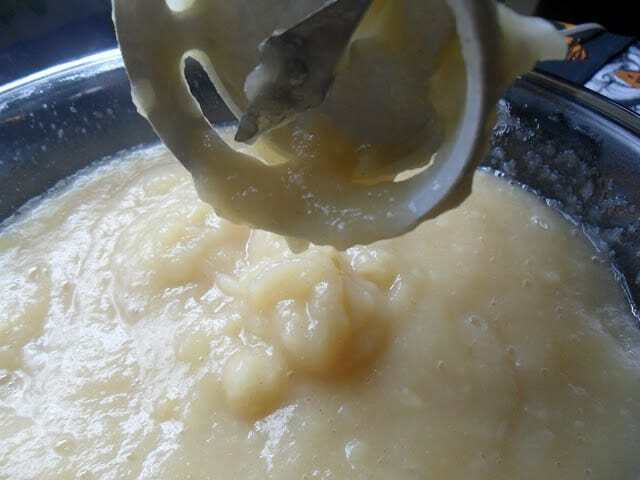 Simmer apple/pear mixture until fruit is tender. Using an immersion blender, puree apple/pear mixture to desired consistency. Stir in ground cinnamon. Serve. 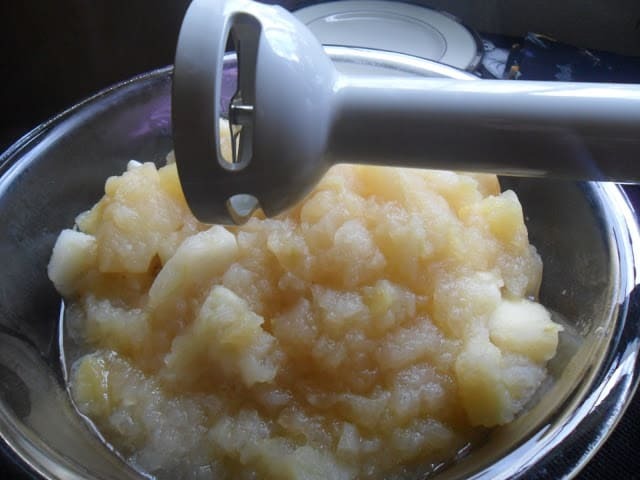 Ladle applesauce into clean, hot jars. Cover tightly and store in the refrigerator. Serve within 4 weeks. *Applesauce can also be canned in a hot water bath canner.